Bella is expecting in February 2017. HE STILL SHARES IN RAISING THE KITTENS EVEN IF HE IS RETIRED . Retired Sebastian and his grand son Scooter. 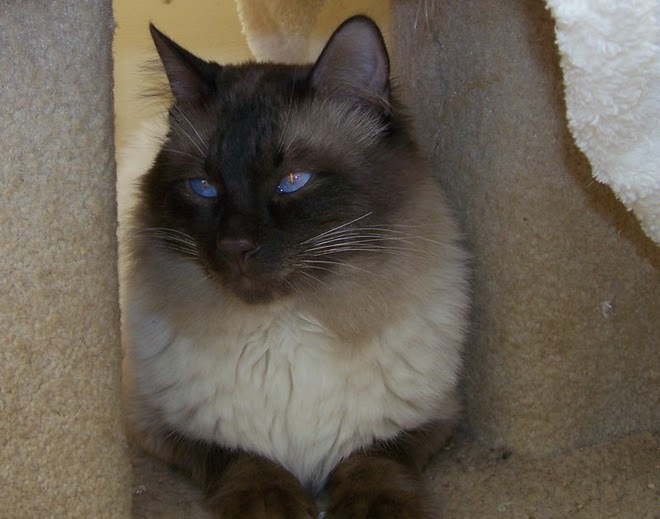 RETIRED AND LIVING IN VA.
OUR BALINESE SIRE YODA ,NOW RETIRED IN A NEW HOME. Shasta our chocolate pt queen. 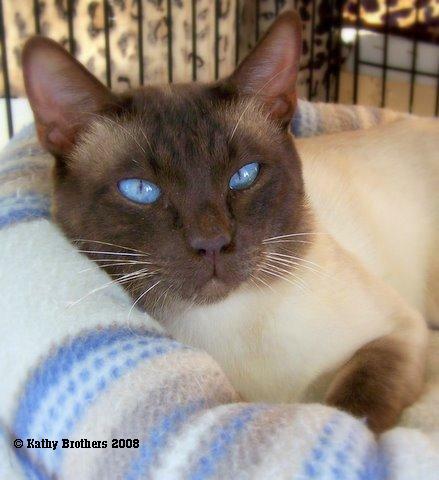 Shasta produces kittens with these deep blue eyes . ONE LAST LITTER, SHOWN ON THE AVAILABLE KTTENS PAGE, LILAC MALES WHO LOOK JUST LIKE HIM. WE STILL HAVE FOUR. THIS WILL BE HIS LAST AS HE IS NOW RETIRED. SHE IS OUR SEAL PT GIRL , WHO HAS BEEN PRODUCING CHOCOLATE PT KITTENS . DEVON GRAYSONS FATHER , HE IS NOW RETIRED. SEBASTIAN , BELLA'S FATHER , NOW RETIRED. SEBASTIAN IS SON TO PRINCE CHARMIN. NOW RETIRED AS WELL.